At least, according to Edmunds, that is. The trusted auto industry publication gave its expert endorsement to three of Nissan’s 2015 models, dubbing them the most popular options for their respective segments. Consumers in 2017 are in a sweet spot when it comes to scoring one of these three models, at a fraction of the price. So, whether you’re in the market for a midsize sedan, a compact truck, or an old-school SUV, if you ask Edmunds, Nissan’s got it going on. 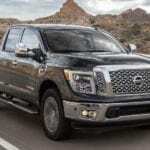 Among the most popular models in 2015, Edmunds isolated the 2015 Nissan Altima, the 2015 Nissan Frontier, and the 2015 Nissan Frontier. Here’s a quick glimpse of each one’s most appreciated attributes. Need a dependable daily driver, a sedan designed to navigate the commute in style? The 2015 Nissan Altima is worth a look and a test drive, thanks in part to its impressive 27 city/38 highway mpg fuel efficiency. With 8 available configurations and the ability to seat up to five passengers in plush comfort, this car is ideal for carpooling with colleagues. The 15.4 cubic feet of cargo space leaves plenty of room for everyone’s laptops and bags during the work week, along with groceries or gear over the weekend. Although all Altimas are front-wheel drive vehicles, you do have a choice between a 2.5-liter four-cylinder engine and 3.5-liter V6, producing between 182-270 horsepower, depending on your choice. With an original starting MSRP range listed between $22,300-31,950, finding an even more affordable used option should be a snap. In the market for a seriously capable, but comfortable pickup truck? Something that can tackle the jobsite, but take you where you want to go over the weekends? Check out the 2015 Frontier, available in King Cab and Crew Cab configurations, with bed lengths ranging between 60-73.2-inches. Boasting a towing capacity of 3,500-6,500 pounds, the Frontier returns fuel economy averages of 19 city and 23 highway mpg. Muscle comes from either a 2.5-liter four-cylinder engine, rated at 152 horsepower and 171 lb-ft of torque, or an available 4.0-liter V6 engine, able to generate 261 horsepower and 281 lb-ft of torque. Priced to start at $17,990 in 2015, even cheaper used options should be in abundance now in 2017. Hauling active kids around is made easier by Nissan’s SUV, the Pathfinder, able to seat seven comfortably, even for adults who have to sit in the second row. Available in four configurations – S, SV, SL, and Platinum, the Pathfinder was released in 2015 with pricing ranging from $29,780-43,250. But, time is on your side and you’ll have no trouble knocking those prices down even further. And you’ll want to, especially if you need towing to the tune of 5,000 pounds and exceptional fuel economy ratings of 20/27 mpg – absolutely outstanding for the SUV segment. Competitive cargo space, considerable comfort, and unmatched fuel economy for the segment, along with an intuitive infotainment system make the Pathfinder your perfect partner on the road.